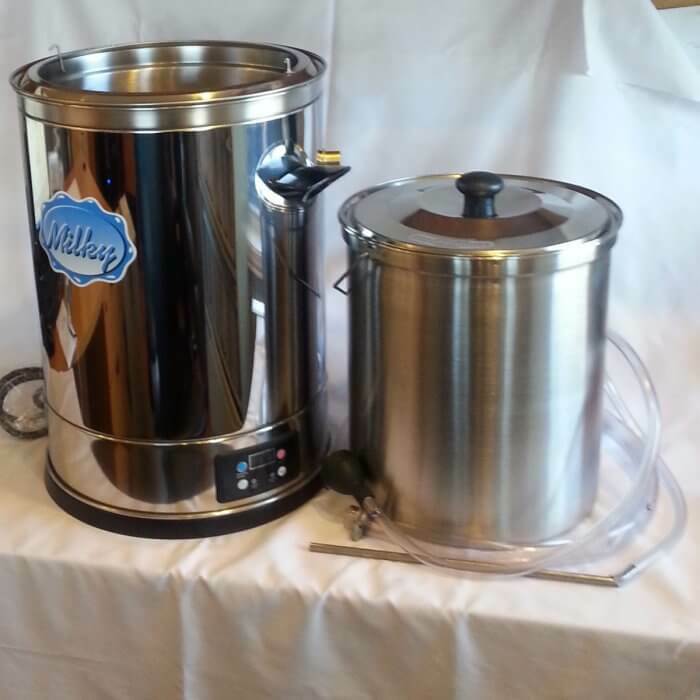 Milk Pasteurizer, stainless steel for 3.5 gallons of milk! Now even has a stainless steel inner bucket! Perfect multi-purpose household product for pasteurization of milk, fruits, fruit juice etc. 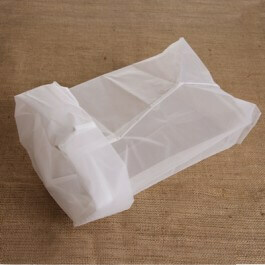 But, also can be used for processing cheese and yogurt! The water temperature can be heated up to 100 degree C (212 degree F), resulting in the inner bucket medium can be heated up to a max of 90 degree C (194 degrees F) The readout though is in Celsius, therefore you will need to convert to the Fahrenheit temperature. Eco Mini 3.5-Gallon Stainless Steel Pasteurizer will process 3.5 gallons/14 ltrs of milk to a temperature of 156F/70C in about 1 hour. Now with a totally digital and adjustable thermostat you can pastuerize, heat treat colostrum, and make cheese or yogurt in this all-in-one convenient unit. And it will last a long time now that it's made from stainless steel! Folks just love these pasteurizers! Buy one from us and get fast service, and all parts available! Don't be fooled by copycats selling these from overseas! Watch the video below and see how really easy this unit is to use. You can easily adjust the temperature of this unit. Check the pdf instruction manual below. 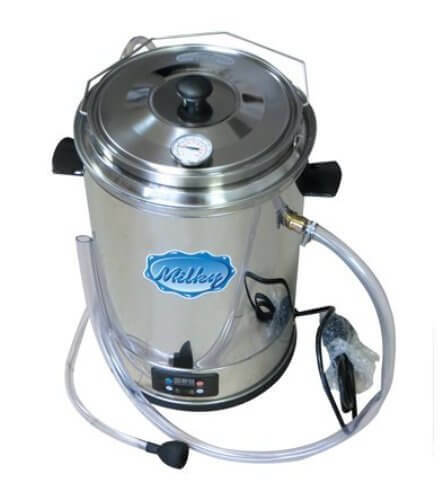 This pasteurizer will gradually heat the milk to the desired temperature. It will then cycle on and off to keep it at the desired temperature once it is reached. You will need to have your own timer set for the amount of time needed for pasteurization, as this particular unit does not have any type of timer or audible signal to tell you when the milk has been held at the desired temperature for a particular recommended amount of time. Inlet and outlet hoses fill a water bath which is sealed against any contact with the milk and which provides a constant and gentle heating function. You must though, keep the water level full at all times to prevent overheating of heating element. The water bath may be flushed with cold water to stop the heating process. Note: You must make sure the water bath is always full! The Eco Mini model has additional insulation for a more energy saving construction. Complete with thermometer and instructions. 120VAC. We also carry extra stainless steel inner buckets and lids!